As a follow-up to a succession of book cover revelations in the past few days, Veronica Roth has made her own mark by debuting the cover of the third and final book in the Divergent Trilogy. 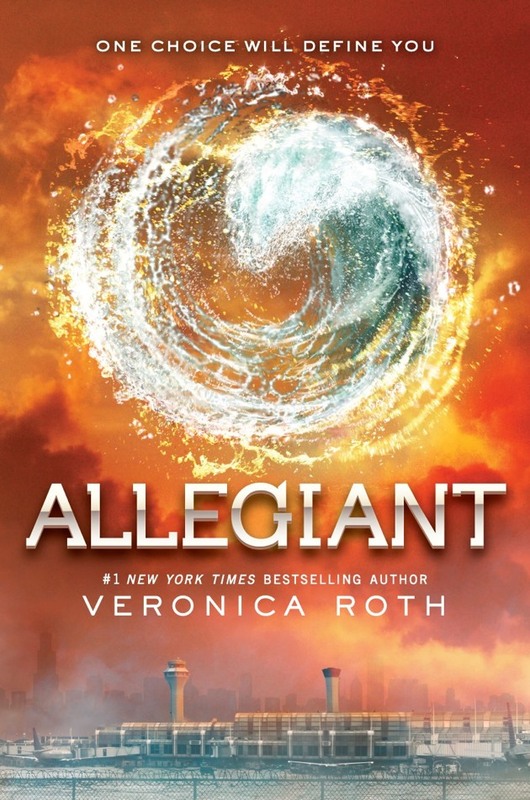 Allegiant, which is officially subtitled "One Choice Will Define You," is dominated with a orangy-reddish hue and super-imposed with a wave of water over a dull-looking airport, which according to Roth is Chicago O'Hare International Airport. Updated: Here is high-definition of the official cover of Allegiant by Veronica Roth. According to Veronica Roth's blog post, Joel Tippie at HarperCollins is the man responsible for this very beautiful cover. Roth also added that she "couldn't be happier with this one and I can't wait to see all three books lined up on my shelf!" "A short note about that symbol: no, it is not a faction symbol. It is, however, a symbol that appears in the book. I can't really share more than that -- you'll have to read it for yourself! (I can't wait for that either!)" You can watch below the revelation clip made at Today Show hosted by Ryan Seacrest. Allegiant is currently available for pre-order at Amazon and will be released on October 22, 2013. The movie adaptation of the first book in the series known as Divergent is also coming our way on March 21, 2014.